Low-Carb Mexican Zucchini Boats are a Guilt-Free Vehicle to Flavor Town! This low-carb meal is an easy, healthy weeknight dinner option. I love that these Mexican Burrito Boats are packed with delicious flavors and not tons of carbs. Spicy sausage, that mouthwatering blend of Mexican spices, and classic burrito flavors like corn, black beans, and salsa more than make up for any missing tortillas or taco shells. It really helps when I can make my filling ahead of time, then I can fill up my zucchini boats and bake! Dinner is done in 30 minutes. Similar to these Beefy Stuffed Peppers or this Quinoa Enchilada Bake, choosing a grain that is low-carb or gluten-free makes these zucchini boats hearty and completely customizable. I prefer to use Nulife pearled sorghum because it has a great texture and absorbs all the Mexican flavors of my filling. Quinoa would also bulk up these zucchini boats. When preparing these zucchini boats, I often use my Melon Baller or a grapefruit spoon to scoop out the middle of the zucchini. Then I also use a melon baller to scoop equal amounts of my filling into the boat! Sprinkle with cheese, and bake. It’s so easy to get this low-carb Mexican favorite on the table. Slice each zucchini in half lengthwise, then hollow out each half (I use my Melon Baller or a grapefruit spoon); spray each half with non-stick spray or brush with a bit of oil. Place prepared zucchini halves into a greased 9 x 13 baking dish or a large well-seasoned cast iron skillet. Heat a large skillet over medium heat; when the skillet is nicely hot, add the sausage, cumin, and chili powder, cooking until the sausage is full cooked throughout and the spices are fragrant. Remove seasoned sausage to a bowl and reserve. Add the onion and bell pepper to the skillet and sauté for for 2-3 minutes in the pan drippings, or until vegetables are slightly softened. Add the the cooked grain of your choice (quinoa, rice, or pearled sorghum), corn, black beans, and salsa. Return the sausage to the skillet and combine all ingredients well, including the cilantro; season mixture to taste with salt and pepper, cooking until mixture is hot throughout. Spoon the warm filling into each of the zucchini halves; sprinkle with cheese, as desired, then cover with foil. Bake in a preheated 400 degree F. oven for 25-30 minutes. Remove the foil and turn oven to broil setting. Cook Zucchini Burrito Boats for just a few minutes longer, or until cheese is bubbly and golden brown. Allow to cool for 5-10 minutes before serving. Garnish with more cilantro, salsa, and sour cream, if desired. Please feel free to leave us a comment – we love hearing from our readers and followers! If you don’t hear back from us here, just know we may have somehow missed your comment or question. Do reach out to us by email: ChefAlli@ChefAlli.com. We will get right back to you. 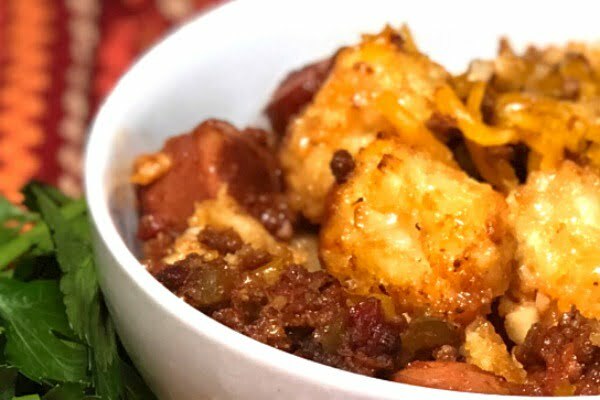 This recipe was originally shared on a Facebook Live-Cast with From the Land of Kansas, promoting local Farmer’s Markets and the “Meet me at the Market” grant, 2018. Click here to watch the playback and learn all about Kansas Farmer’s Markets and some different resources to help you buy Kansas fresh! 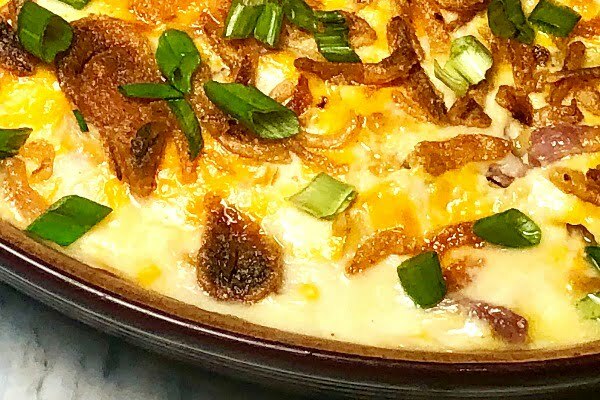 Be sure to follow Chef Alli and From the Land of Kansas on Facebook for more great recipes, Kansas products, and local resources. *This post contains affiliate links, but I only recommend products that I know you’ll love! Thank you for your comment! We are working on converting our posts to a more streamlined recipe-maker plugin that will have that option. I know I love to know that information as well.